English playwright Harold Pinter ranks among the foremost postwar British dramatists. He invested his plays with an atmosphere of fear, horror, and mystery. These plays continue to encourage scrutiny and reexamination from not only the author himself, but from scholars as well. Pinter’s works remain among the most respected plays written for the modern stage. Working-Class London Roots. Harold Pinter was born October 30, 1930, in Hackney, East London, England, the only son of a Jewish tailor, Jack, and mother Frances. He grew up in a working-class neighborhood that, despite dilapidated housing, railway yards, and a dirty canal, he remembers fondly. However, like other English children who grew up in London during the German air raids of World War ii, he learned firsthand about living with imminent and omnipresent terror, a theme that appears in much of his work. Relocation in 1940 and 1941—from London to Cornwall and Reading, as part of the evacuation of civilians from bombing targets during the war—would also affect his writing. Early Theatrical Work. Pinter’s theatrical career started early. While attending Hackney Downs Grammar School on scholarship, he won title roles in Macbeth and Romeo and Juliet. Reviews of these early performances point to Pinter’s gift for the dramatic. Pinter left grammar school in 1947, having earned a grant to study acting at the Royal Academy of Dramatic Art (RADA) the following year. At RADA, a place he detested, he cut classes, faked a nervous breakdown, and after two terms, finally dropped out in 1949. At the same time, Pinter was called to National Service, but instead registered as a conscientious objector. For this he was taken to trial and fined. In 1951, after another grueling six months at the Central School of Speech and Drama, he joined the Anew McMaster repertory company, touring England and Ireland and performing in over a dozen roles. The next year he took regional acting jobs in England, followed by work for the Donald Wolfit Company, which continued from 1953 through 1954. Under the stage name David Baron (after his grandmother, whose maiden name was Baron), Pinter supplemented his meager income for the next five years by waiting tables, making postal deliveries, working as a bouncer, and shoveling snow. From Stage to Radio, Radio to Big Screen. During this time, in 1956, Pinter married actress Vivian Merchant. He gave up writing poetry and began writing the plays that would, by 1957, establish his career. That year he completed two one-act plays, The Room and The Dumb Waiter, as well as the full-length play The Birthday Party. All three plays would lend themselves to future adaptations, several awards and accolades, and the tormenting-villain-versus-tormented-victim dynamic present in many of Pinter’s works. Pinter had his first real success with The Caretaker (1960) , which ran for twelve months in London’s West End and in October 1961 opened on Broadway to critical, even though not commercial, success. Subsequent plays and themes—invasion, cruelty, infidelity, threat— would contribute to Pinter’s acclaim with The Dwarfs (derived from his novel and appearing on radio in 1960); two television plays for the stage, The Collection (1961) and The Lover (1963); and the full-length play The Homecoming (1965). Those same years also saw his work being produced by the British Broadcasting Corporation (BBC). His story ‘‘The Tea Party’’ premiered in 1964 and was televised throughout Europe the following year. The Basement aired in 1967. In 1973 Pinter was made the Associate Director of the National Theatre, a post he would hold until 1983. After his first marriage dissolved, in 1980 he married British historian and novelist Lady Antonia Fraser. It was also during this period that he was at his most prolific. Between 1975 and 1995, Pinter wrote nine full-length plays for stage and television, a dramatic sketch, four prose works, four poetry collections, and eleven screenplays, including the screenplay for John Fowles’s The French Lieutenant’s Woman, which earned Pinter several award nominations and won him the David Di Donatello (the Italian Academy Award) for Best Foreign Screenplay. Over the ensuing decade, a winner of nine film awards and a double-digit nominee, Pinter’s writing has evolved, from verbal indulgence to a greater emphasis on scene-setting. This increasing influence of scenery playwriting is apparently due to his increased involvement in film. After writing several plays that were subsequently filmed, he wrote screenplays that have garnered continued acclaim. These have made use of his linguistic skills and devices and have addressed his own penchant for themes such as adultery, duplicity, artistic stasis, and homosexuality. Pinter’s screenplays along with his poetry and letters, thrillers, and stage plays have earned him a major place in drama. Critics and scholars alike consider many of his full- length plays to be among the most important plays of the mid-twentieth century. He has been the recipient of numerous awards and honors for his lifetime achievement, including the 2005 Nobel Prize for Literature. He has remained active in the worlds of publishing, theater, and film, even after his announced retirement in 2005. Pinter continues to be applauded by everyone, from the British Library, which has purchased his literary archive, to Pinter scholars and fans who appreciate his rigorous scrutiny of the common, the comic, and the classes. Look Back in Anger (1956), a play by John Osborne. A lower-class husband and his upper-class wife get disturbingly ensnared in a triangle with a third protagonist. A Taste of Honey (1958), a play by Shelagh Delaney. This drama features the dynamics of a working-class teen and her sexually promiscuous and neglectful mother who abandons her. A View from the Bridge (1955), a play by Arthur Miller. Italian-American longshoreman Eddie Carbone suffers profound betrayals and conflicts with family and friends in this stage drama. Intrusion and Conflict. What Pinter learned as a young actor, he turned into his writing. His characters—making up the largest part of dramatic tension in the plays—are at their most compelling when their conflicts are ‘‘inner’’ and ‘‘mental,’’ unseeable and therefore frequently unnameable. Often, because the past is unverifiable in a Pinter play, all that viewers can know about a Pinter character is what they themselves discern. The plots, despite their surface calm, are often spiked by what audiences find equally disturbing: the unexpected intruder who enters the rooms or houses of Pinter’s characters and in some way disrupts the residents’ lives. The Comedy of Menace. Pinter’s first few plays, labeled ‘‘comedies of menace,’’ occur in confining spaces and bleak settings and feature lower-class characters with their Cockney idiom who surrender what is left of their individuality. In Pinter’s later plays he is especially concerned with what he regards as the nearly impossible task of verifying appearances. He creates images of the human condition that are despairing yet also comic in his deft handling of dialogue that attacks, evades communication, and shields privacy with debasing non sequiturs, pat cliches, repetitions, contradictions, and bad syntax. Influences. It has been said that epic theater appeared to have the least influence on Pinter, who shunned such Bertolt Brecht conventions as having his characters and themes make implied social and political statements. In one or two plays, he does touch on social commentary, in an epiclike fashion, appealing to his audience’s intellect rather than to its emotions. This is where Pinter shows multiple influences. Examining the private rather than the social sphere, Pinter’s work shows the particular absurdist influence of, for example, Irish playwright and novelist Samuel Beckett. He also displays a similarity with Kafka and other existential writers, exposing, as he does in several plays, the fragmentation of attitude, thinking, and, therefore, the self. Considered to belong to no single school, Pinter has instead drawn from each to create a body of work idiosyncratically and recognizably his own. Those dramatic elements that are identifiably ‘‘Pinteresque’’ include his characters’ mysterious pasts, his theme of the intruder, and his use of silence. Pinter has been thought to take some influence from renowned writers Wilfred Owen, Marcel Proust, and William Shakespeare. In turn, Pinter’s work unquestionably influenced a number of contemporary dramatists, from realists to international surrealists, from English playwrights Michael Frayn and Patrick Marber and American playwright David Mamet to Irish dramatist Martin McDonagh and Czech writer Vaclav Havel. Enthusiastic dramatic criticism was plentiful for Pinter, especially with such plays as The Caretaker. 1. While reading The Dumb Waiter, make note of all the props (objects) that appear in the play as well as any response you have to their appearance. Using your list of props, discuss what you associate with each. Name any associations at all, no matter how simple. For example, sheets may make you think of bed, laundry hanging on the line, or toga parties. Once you have cited all possible connections you have to each item, consider how each has meaning for the play. Pinter’s props have been said to ‘‘resonate symbolically.’’ What do you think these items represent? Feelings? Tone? Memories? Attitudes? 2. Pinter’s language is notably and intentionally provocative. His style is actually tactical, in that language becomes almost like a weapon, probing his audience. Using the play The Homecoming, find several instances of such passages and discuss whether these tactics would be equally provocative with a contemporary audience. How are audiences different today from Pinter’s time, which is actually quite recent? Billington, Michael. The Life and Work of Harold Pinter. London: Faber & Faber, 2001. Esslin, Martin. Pinter the Playwright. London: Methuen, 1984. Gordon, Lois. Pinter at 70. New York: Routledge, 2001. Harold Pinter Bibliography. Retrieved February 14, 2008, from http://fb14.uni-mainz.de/projects/cde/bibl/pinter.html. Harold Pinter.org. Harold Pinter Official Website. Retrieved February 14, 2008, from http://www.haroldpinter.org/biography/index.shtml. Valencia Community College, West Campus. Author Pathfinders. 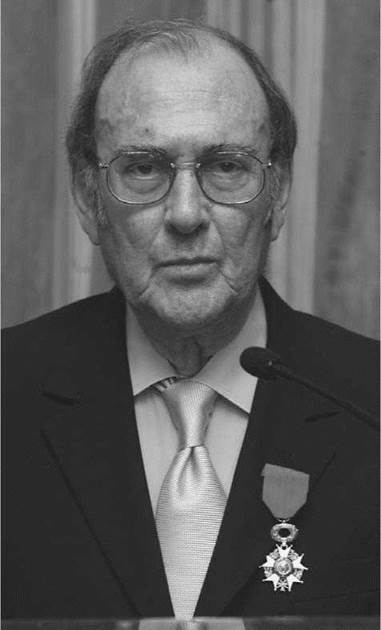 ‘‘Pinter, Harold, (1930-).’’ Retrieved February 14, 2008, from http://valenciacc.edu/lrcwest/Author_Pathfinders/pinter.html.